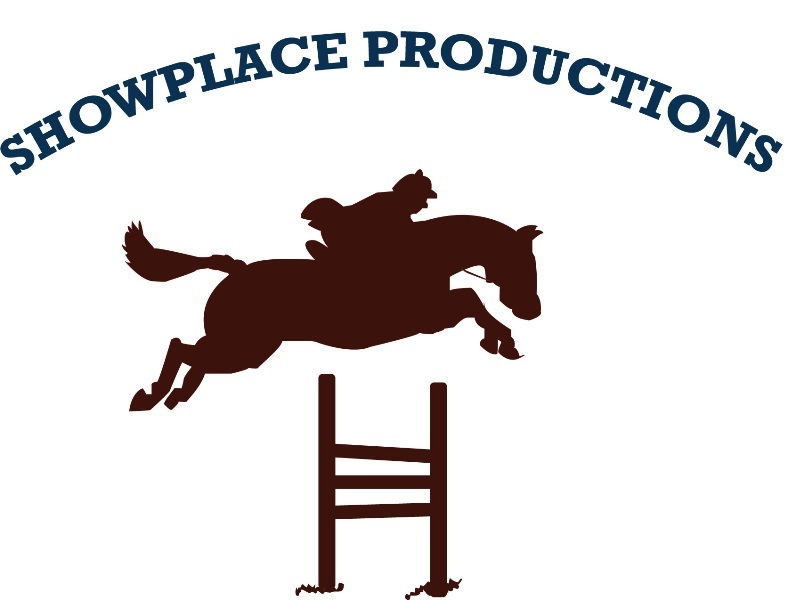 Showplace Productions hosts a great winter circuit at Ledges Sporting Horses with friendly staff, beautiful jumps and great hospitality. Photo Chicago Equestrian. 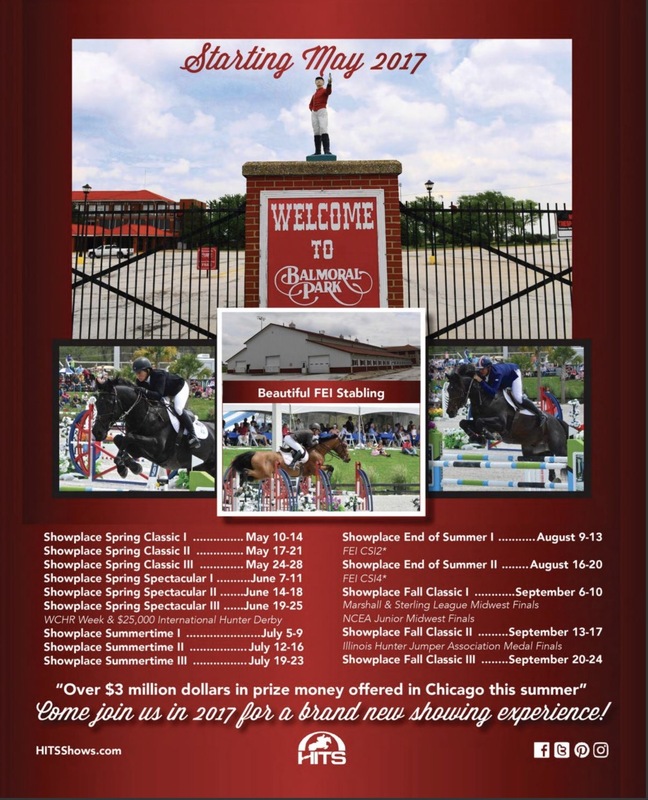 Roscoe, IL - January 16, 2017 – The Showplace Productions’ winter show series continues at the historic Ledges Sporting Horses in Roscoe, Illinois, offering a full schedule of divisions along with North American League (NAL), Washington International Horse Show (WIHS) and Marshall & Sterling (M&S) classics for both hunters and jumpers. 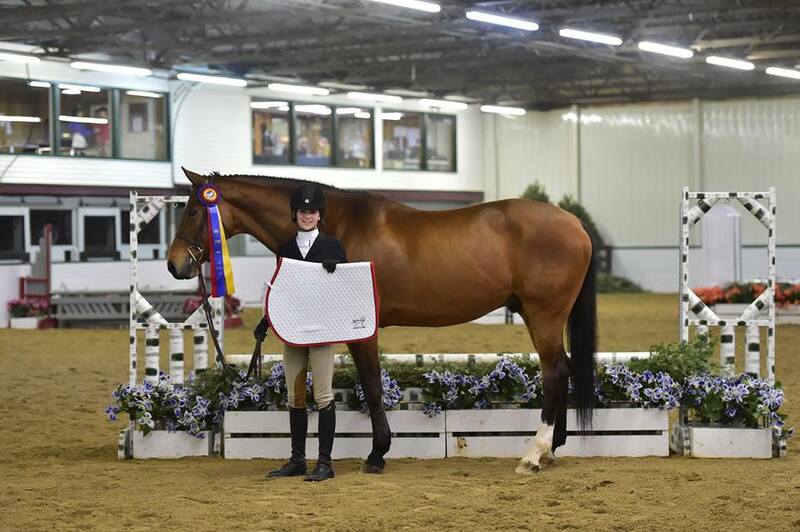 Hosting two ‘A’ (USEF national) rated horse shows per month and one Illinois Hunter Jumper Association (IHJA) ‘B’ rated horse show each month during the winter, the shows allow riders a chance to have quality ring time at affordable prices. 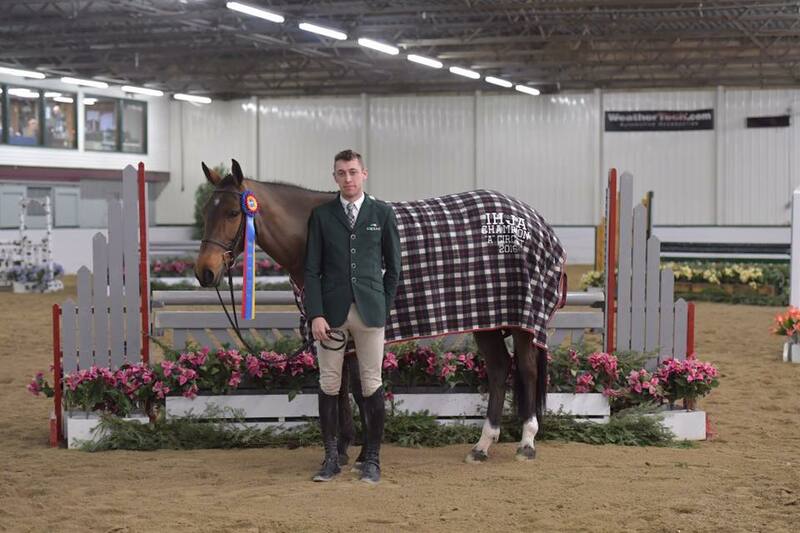 Abaco, owned by Arkham Investments and ridden by Ryan Sassmannshausen, won the $500 Green Hunter Challenge. Photo Andrew Ryback Photography. 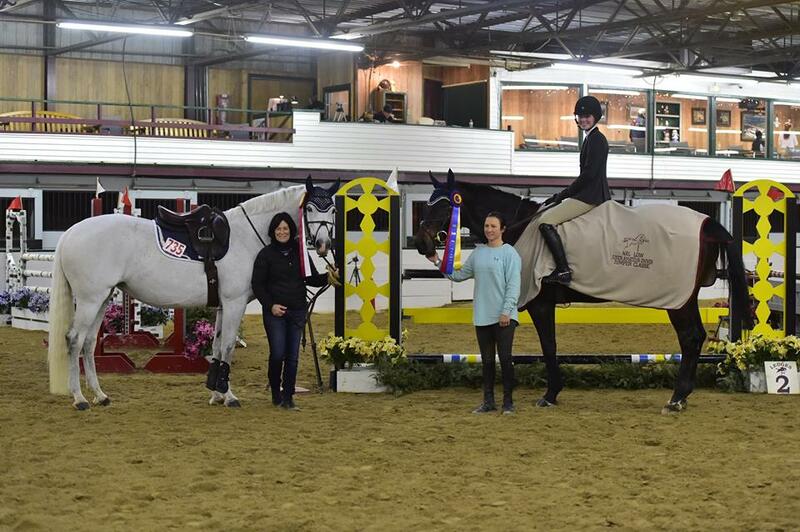 Riders and trainers can show their horses more often in the cold Midwest weather with the easy access location of Ledges Sporting Horses and a continuously updated and fully heated facility with stalls, schooling and show rings, all under one roof. Show manager Patrick Boyle, keeps a schedule that is friendly for kids in school and working adults, making it easy to show twice a month. Maria Kogen and True North earned the blue in the NAL Child/Adult Hunter Classic. Photo Andrew Ryback Photography. For decades, the facility has turned out champions from the Chicagoland area, many that continue on to successful professional careers while bringing quality horses to the industry across the country. Thirty years later, Ledges is still going strong. Trainer Rhonda Arza with Claire Leopold and her new mount, Langdon Street. Photo Chicago Equestrian. Arza brought Claire Leopold, 16, who just leased the seasoned horse, Langdon Street, a month ago and showed for the first time ever. The pair earned the Reserve Championship in the Novice Children’s Hunters. 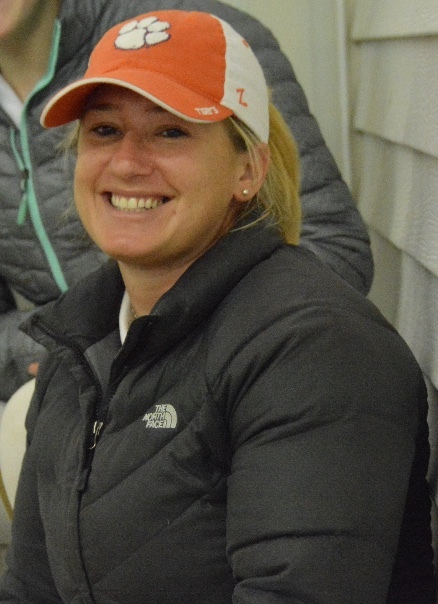 Trainer Serah Vogus of Millcreek Farm in Antioch, Illinois, is also a fan of the Ledges horse shows. One of her riders, Colby Kelly, was Reserve Champion in the High Child/Adult Jumpers with Jan Milani’s Zamora. The horse and rider duo get great ring mileage while practicing bigger jumps. Earlier in the week, Vogus (pictured right) was Champion on Zamora and Reserve Champion on Bonfeuer in the schooling jumpers, getting the horses back in the groove after a break during the holidays. “I love coming to Ledges because it’s a friendly, close knit, relaxing environment for new riders or riders moving up to get a real A circuit experience without the nerves and stress of a giant venue,” said Vogus. 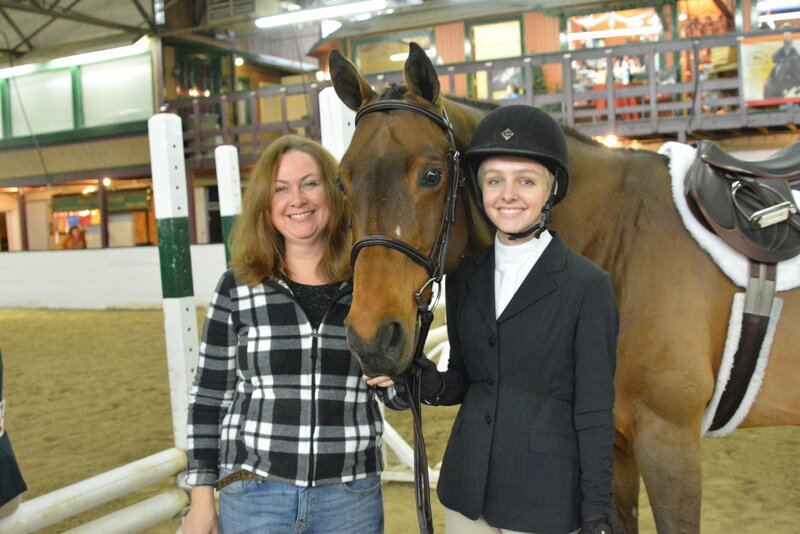 Trainer Katie Geraldi of Evergreen Farm, brought 14-year-old Teddi Pritzker and her horse, Hello Handsome, for the Children’s Hunters. Pritzker just moved up from the large pony division so getting used to her new mount at Ledges was a definite plus. The pair ended up winning the WIHS Child/Adult Hunter Classic. Teddi Pritzker and Hello Handsome. Photo Andrew Ryback Photography. Showplace Productions goes above and beyond as usual, awarding great prizes and offering great hospitality. The ‘B’ shows are no exception, not only offering cross rail classes to jumpers, but also including the popular Chicago Equestrian Hunter Derby Series at 2’, 2’6” and 3’ fence heights. In addition, the derby series gives end of the season awards for the Leading Horse, Leading Professional Rider, Leading Junior Rider and Leading Amateur Rider. The shows are a fun, relaxed place for riders to get experience over lower fence heights with quality courses and jumps, top judges and experienced show staff. 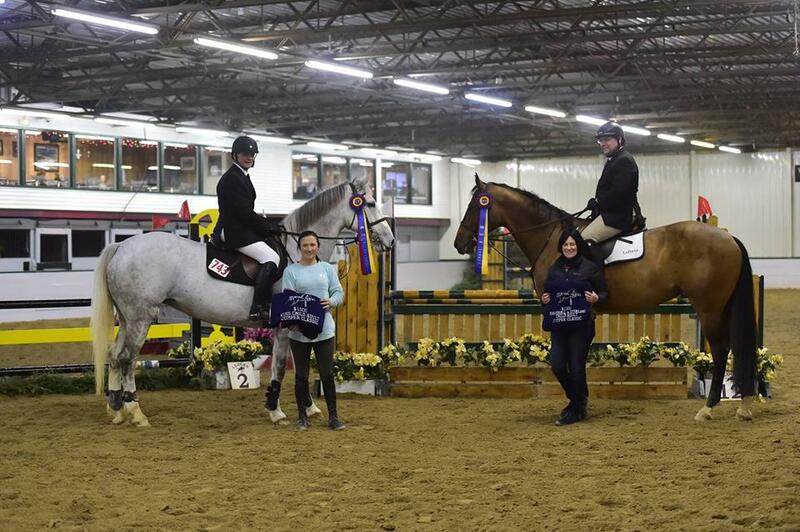 Celia Bresch with trainers Kim Gardiner and Mara Kranz-Olseng took the Champion and Reserve in the Low Junior/Amateur Jumper division with Zalicia (right) and Charlotte. Photo Andrew Ryback Photography. Ledges also offers an on-site tack store run by Barrington Saddlery, specialty vendors along with full service photography by Andrew Ryback Photography and video services by Star Creek Video. 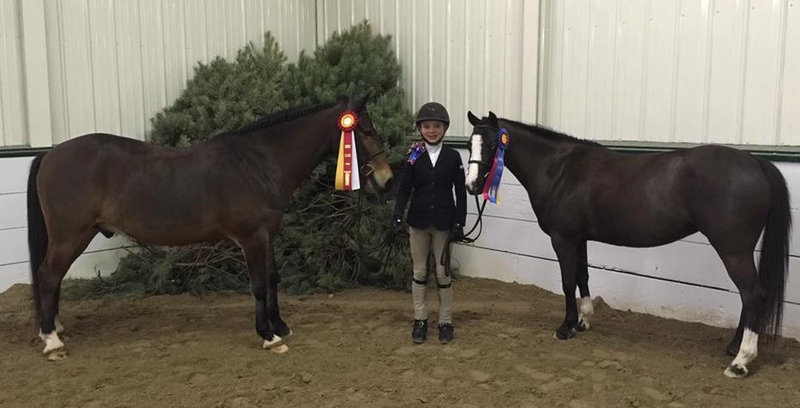 Alexis Bauman earned the Champion and Reserve Champion in the green ponies with Somermist Bellenova (right) and Blue Jean Boy. Add Ledges to your show schedule and come get out of the cold to have some fun. See for yourself why riders and trainers have been coming here for years. For more information and a prize lists, visit their website at www.showplaceproductions.com. 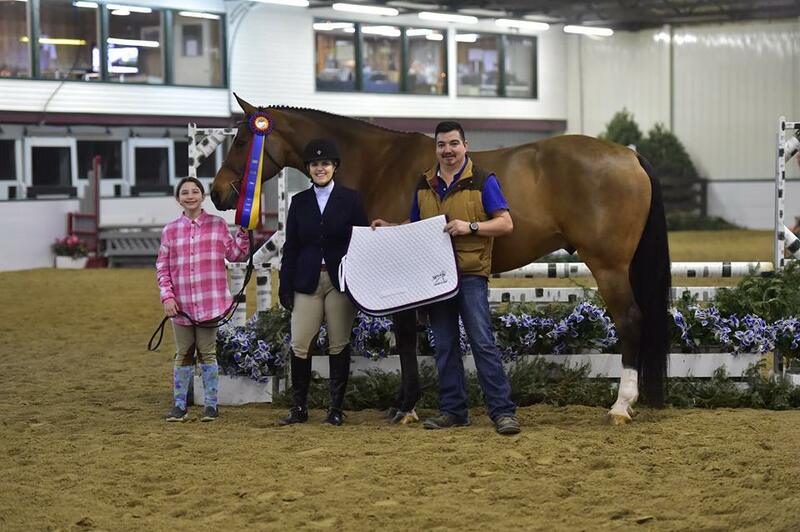 The gentlemen showed how it's done with Luimond and Greg St. George winning the $1,500 Washington International Horse Show Child/Adult Jumper Classic and Antalya and Steve Laporta won of the $1,500 Marshall & Sterling League Child/Adult Jumper Classic! Photo Andrew Ryback Photography. Follow them on Facebook or #WeLoveLedges! 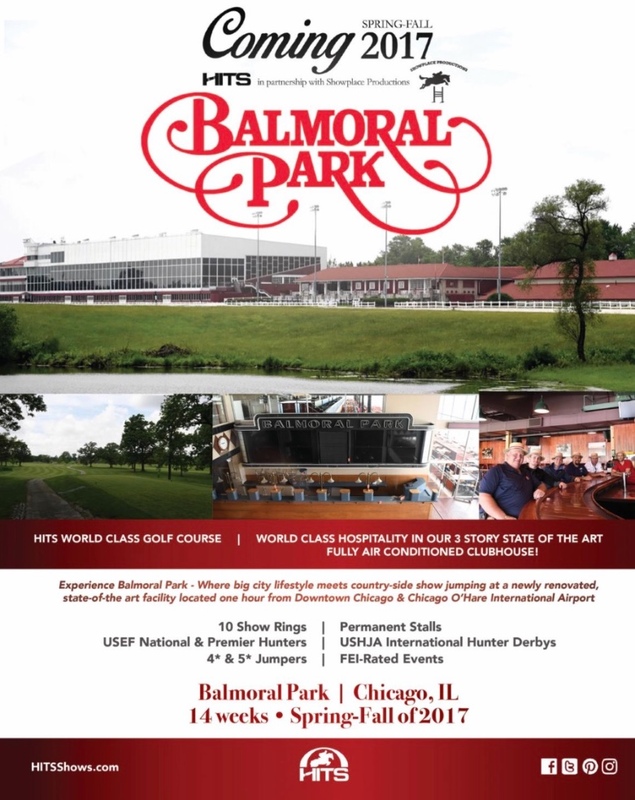 For more information or prize list on Balmoral Park visit their website here.